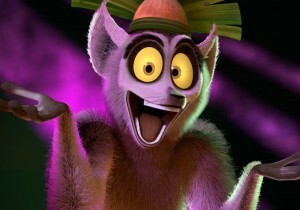 Over at Animation Scoop there’s an article about the new Dreamworks animated TV series for Netflix, All Hail King Julien. It’s in the Madagascar/Penguins universe of course, but it’s sort of a prequel. “Set before the Zoosters arrive in Madagascar, King Julien holds court over a colorful cast that includes fan favorites Mort and Maurice, along with a host of all-new jungle dwellers. The series features a talented voice cast that includes television legend Henry Winkler (Happy Days) as Julien’s regal predecessor, Uncle King Julien, alongside Emmy-winning actor Danny Jacobs as King Julien, Andy Richter (Conan, Arrested Development) as Mort, Kevin Michael Richardson (Family Guy) as Maurice, and India de Beaufort (One Tree Hill) as Clover, the king’s special-ops expert.” This is the second Dreamworks animated TV series on Netflix, following Turbo FAST, and the studio plans on creating no less than 10 additional Netflix series by the end of 2016. Meanwhile, Julien will be available for download on December 19th.